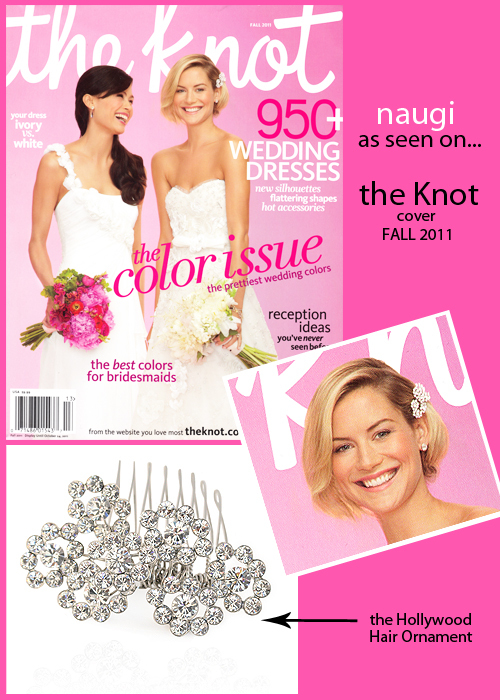 A beautiful cover from the Knot… the FALL 2011 issue, features a Naugi hair ornament set with Swarovski crystal. The Hollywood Bridal Hair Ornament is one of my favorite, “go to” pieces, when a bride wants some sparkle without too much fuss. I love the idea of a short bob cut on a bride- so fresh! The ear tuck placement of the sparkly comb is perfect paired with the organza gown by Ravini! Add the neutral peony bouquet by Blossom and Branch and look becomes even more gorgeous. Thanks to the editors and stylists at the Knot for a lovely surprise! We're Featured in InStyle Weddings! 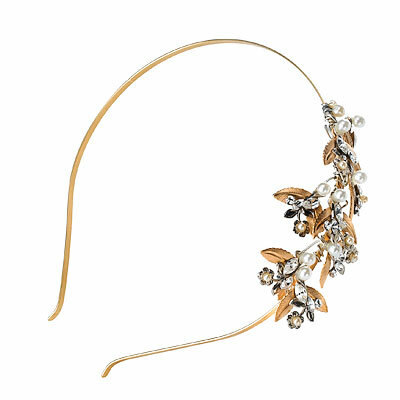 We are VERY excited over here today because our beautiful Falling Leaves Headband has been named as one of the Top 10 Summer Accessories on the In Style Wedding web site! Hi! I‘m Jessica, the owner and designer for Naugi Tiaras. Our blog is all about our products, what we love, weddings and design. Naugi has been in business since early 1999, creating unique handmade jewelry and accessories for brides around the world.